Write an Essay using this Sentence as your First Line : "It Seemed like it was Going to be Another one of those Days when Nothing much Happens." It seemed like it was going to be another one of those days when nothing much happens. Ken and his friends were playing their regular football game along the banks of the river near their small village. In the midst of the game, Ken’s attention was drawn to a tourist boat passing by. Actually, tourist boats were quite common in their area. It was also common for some of the tourists to take potshots at the birds and squirrels along the way. This is why Ken’s friends were not really surprised to hear a few small explosions from the boat. They ignored the sounds and went on with their game. However, they were startled when they suddenly heard loud cries for help coming from the boat. They could see that the crew were running about, panic-stricken. Some people were shouting to them. “Their engine must have blown up! Look, there’s smoke and the boat’s out of control. It’s going towards the rapids,” Ken pointed out to his friends. Ken’s village was located at the point at which the tourist boats turned around and headed back upstream. Three kilometers downstream were the rapids, which spelt trouble for the boats. The boys sprinted back to the village for help. Along the way, they met the village headman. Stumbling over his words in his haste, Ken explained the emergency to the headman. The headman was a man of quick action. Without wasting any time, he yelled out to some men to help, him carry his powerful outboard motor to the jetty. With the motor tied firmly onto bamboo poles they rushed, hurriedly down to the jetty. Their haste was indeed necessary for, by the time the men had reached the jetty, they saw that the boat was dangerously close to the rapids. There was not a moment to lose! With quick hands, the headman attached the outboard motor to his sampan and then sped off to the rescue. Upon reaching the tourist boat with bare minutes to spare, the headman realized his mistake. How could so many tourists be packed into this small sampan? The headman was filled with despair. Then he saw the rope that had been used to tie down the outboard motor to the bamboo poles. It had been flung into the sampan in his haste. Quickly, he grabbed the rope and flung it to the boatmen on the tourist boat. “I’ll tow you back!” he shouted. After the boatmen had tied the rope firmly to their boat, the headman made a swift U-turn and then, putting the engine on full power, he steered his sampan upstream. The rope gave a jerk and then, to everyone’s relief and joy, the tourist boat moved forward, obediently following the small sampan. Loud cheers burst out from the tourist boat and the observers on the shore. Thanks to the headman’s courage, the cooperation from the villagers, and the quick action of the boys, the tourists were saved from certain death in the rapids. Essay on “A Cold Day” Complete Essay for Class 10, Class 12 and Graduation and other classes. Essay on “My friend” Complete Essay for Class 10, Class 12 and Graduation and other classes. Essay on “Has The Human Race Evolved Completely?” Complete Essay for Class 10, Class 12 and Graduation and other classes. 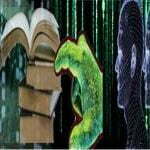 Essay on “Artificial Life” Complete Essay for Class 10, Class 12 and Graduation and other classes. Essay, Biography or Paragraph on “Upton Sinclair” great author complete biography for Class 10, Class 12 and Graduation and other classes. Essay on “Consumers Safety” Complete Essay for Class 10, Class 12 and Graduation and other classes. Essay, Paragraph or Speech on “Five Important Persons of My Village” Complete Paragraph or Speech for Class 10, Class 12 and Graduation and other classes. Essay on “The Value of Forests” Complete Essay for Class 10, Class 12 and Graduation and other classes. «Hindi Letter “Pasandida T.V. karyakram ke bare me channel ko Patra”,”पसंदीदा टी. वी. कार्यक्रम के बारे में चैनल को पत्र ”, Complete Hindi Letter.